Sneak peak into an English Fair project! Hello, welcome to the English Fair!! We English students of the second semester from UPE invite everybody to an amazing multicultural trip! 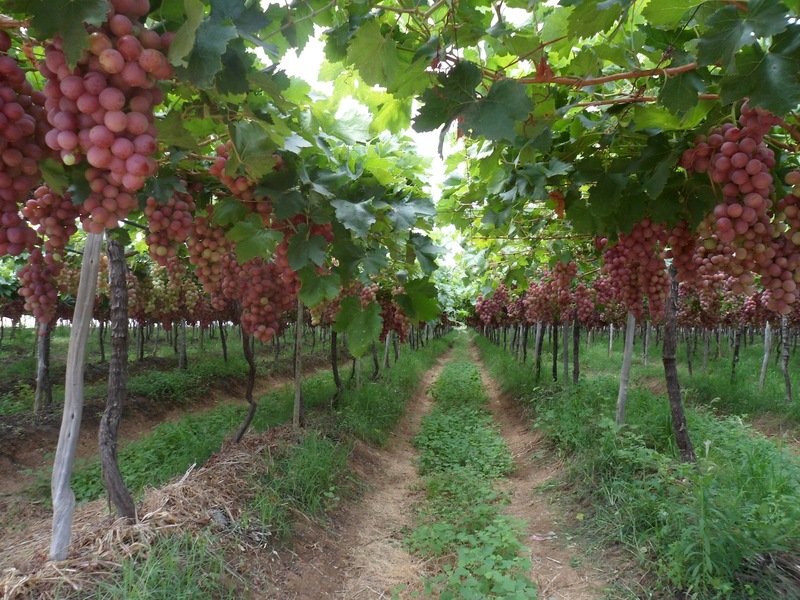 Our central objective is to present the irrigated fruticulture from Petrolina-PE to the world from the angle of the cultivation of the grape. We will be offering to the public a tasting of grapes, a chocolate waterfall with fruits, among another activities and games. Searching to understand grape cultivation, the group counted on the support of Miguel Cappellaro, administrator, who showed us the way patiently during the visit, teaching us all the process of cultivation of the grapes, from plantation until harvest. We were fascinated with the plantation–it’s a lovely experience, one we recommend. Miguel further told us about the importance of knowing English in the work market, which always needs a professional with this knowledge. In addition, learning another language can also help with personal growth. Cappellaro Fruits, a company that has worked in the region for twenty two years, is formatted on a family base, contributing to development of the city generateing hundreds of job, making donations to the municipal nursery and also participating in the return of packaging recyclable and toxics. Come visit the English Fair and let yourself take in this multicultural trip!